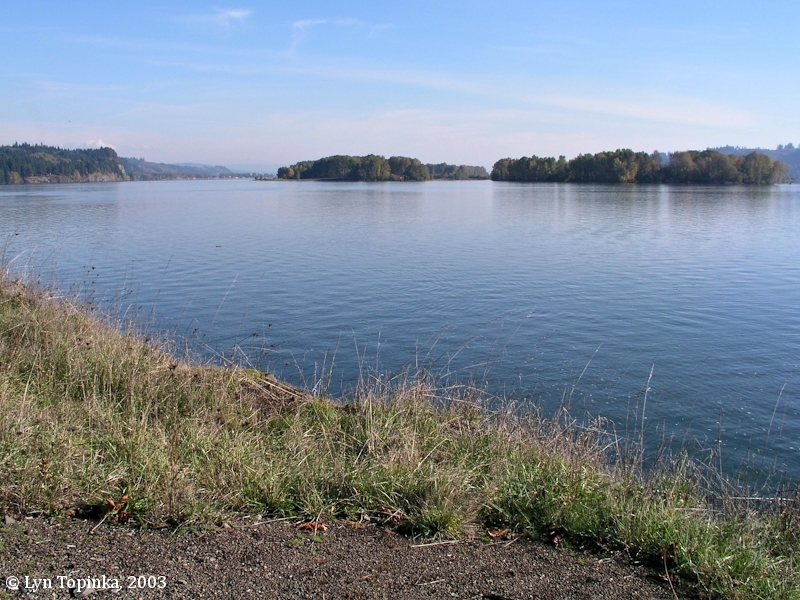 "Mill Creek, Washington ... (Cowlitz County)"
Click image to enlarge Mill Creek, Cowlitz County, Washington. 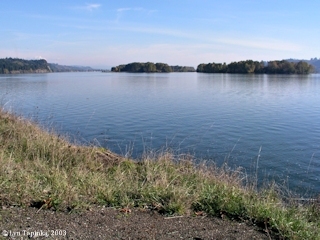 View from near mouth, off of Washington Highway 4. Image taken November 9, 2005. 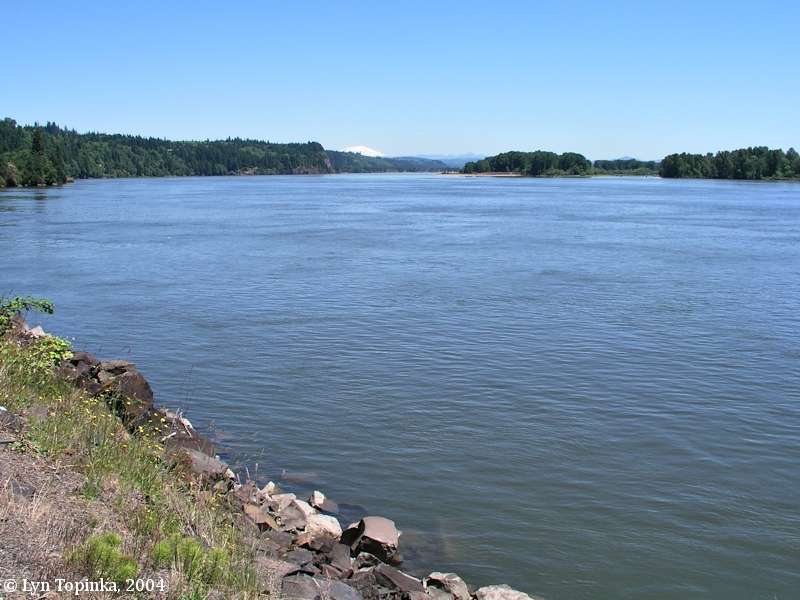 Mill Creek, Washington, begins in Wahkiakum County, and then flows east to Cowlitz County, where it enters the Columbia River at River Mile (RM) 54, on the east side of Oak Point. Mill Creek was named for a water-powered mill which was built at the mouth of the creek in 1848 by Alexander S. Abernethy. 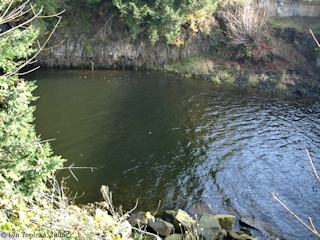 A bit upstream of Mill Creek is Abernethy Creek. 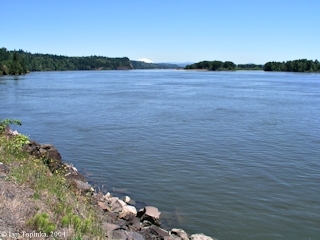 Good views of Crims Island and Mount St. Helens can be had from the mouth of Mill Creek. The 1858 Cadastral Survey (tax survey) for T8N R4W had Mill Creek named "North Fork of Abernethy's Mill Creek" and "South Fork of Abernethy's Mill Creek", while today's Abernethy Creek was depicted but not named. 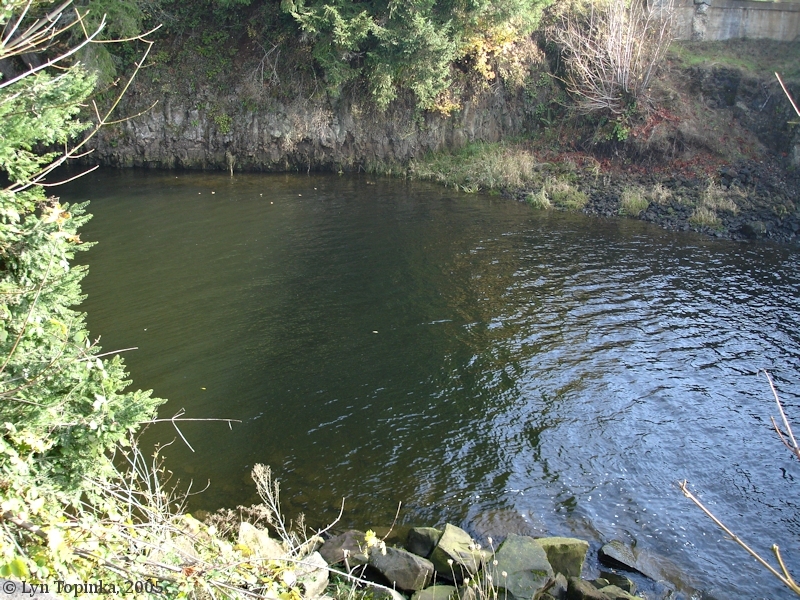 A "Store" was shown on the right bank of "Abernethy's Mill Creek" at its mouth, and the Abernethy home was shown upstream, about half way between today's Mill Creek and today's Abernethy Creek. Germany Creek, upstream of today's Abernethy Creek, was labeled "Nequally Creek". The 1878 U.S. Coast Survey's Chart No.6142, "Columbia River, Sheet No.3", had today's Mill Creek labeled "Negisticook Cr." and today's Abernethy Creek labeled "Nequally Cr.". Germany Creek was depicted but not named. A "Light (White)" was located at the location of today's Stella. In 1937 the U.S. Board of Geographic Names made "Mill Creek" the official name. Click image to enlarge Mount St. Helens from Mill Creek, Washington. View from downsteam Mill Creek near Oak Point. Bunker Hill is on the left and Gull Island is on the right. Image taken June 16, 2004.